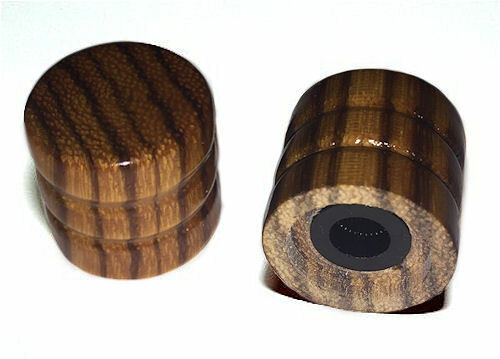 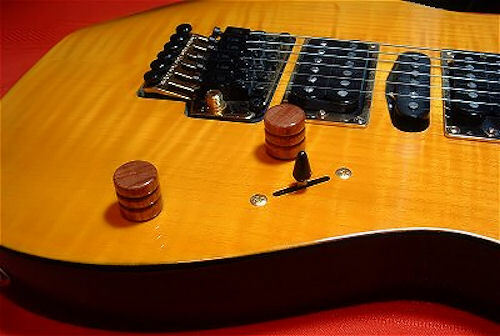 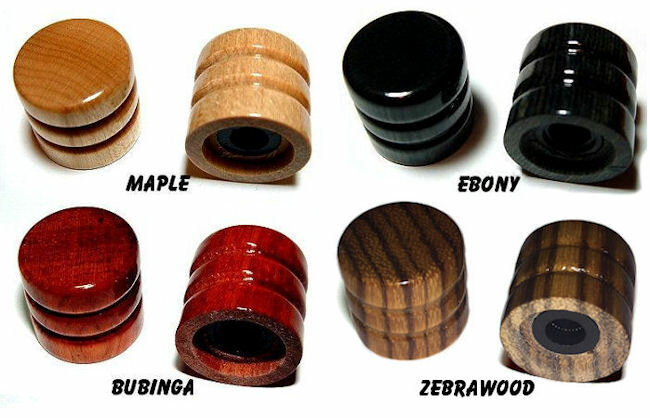 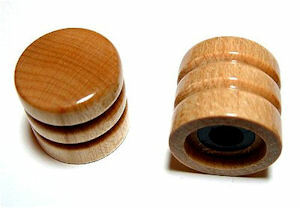 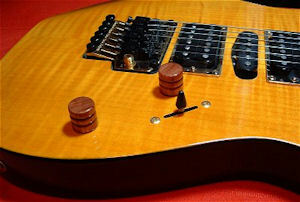 Real wood "Barrel" style knobs. 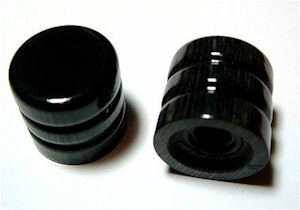 They have an insert for standard push-on installation, for use with split shaft control pots. 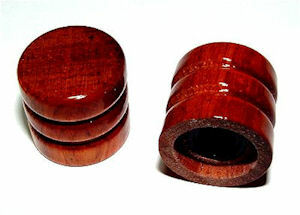 They are 19mm Tall, and 19mm Wide.